We provide Tempstar heating and cooling products for our customers for many reasons. Tempstar has a quest for quality in all of their products. They maintain this quality without raising the cost of the equipment. They offer a full line of heating and cooling products from the entry level, all the way up to the industry leading technology. The toughness at Tempstar starts at the factory with the design phase, and field testing, to ensure the product is ready for your home. Tempstar backs their products with tougher warranties, like the “No Hassle” warranty that gives you, the homeowner, a brand new replacement unit if a major component (compressor, heat exchanger or outdoor coil) fails. Tempstar products are manufactured in Indianapolis, Indiana and Laverne, Tennessee. 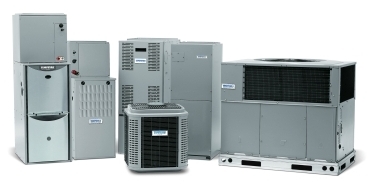 With our supplier having five locations in this area, we can obtain equipment quickly to take care of your home comfort needs fast, effectively, and efficiently.